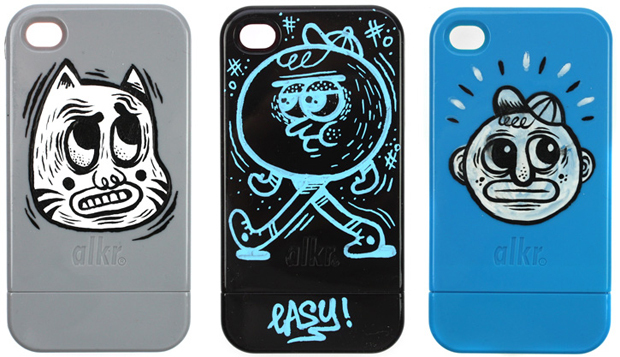 UK online store FUSShop have come together with French illustrator Nicolas Tual, and tech accessories brand alkr, to produce a set of 18, hand-painted iPhone 4 cases, which they’ll be giving away over the next week. FUSShop and alkr will be giving away 3 cases a day through their facebook pages (FUSShop, alkr), each of which will be a complete, one-off design by Tual. The giveaway started today – find out more in the video above and at both FUSShop and alkr.